Tiago Pereira is one of the top Brazilian jiu jitsu competitors of his generation, particularly in the Master division, where he earned important titles such as the World Masters and the World No-Gi Championship. 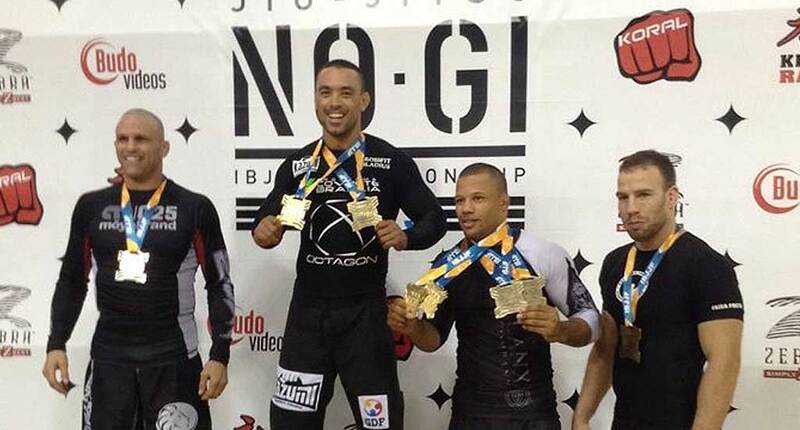 Pereira was awarded his black belt from the illustrious Admilson “Juquinha” Brites, having represented both Gracie Humaitá and the Ribeiro Jiu Jitsu associations throughout his career. Tiago Pereira Almeida was born on September 22, 1979 being raised in Guará, a small town in the outskirts of Brasilia – Brazil. Tiago initiated in martial arts early in life, through capoeira. A striking combat style developed in Brazil, with a heavy emphasis on kicks. It was while training capoeira that Pereira was lured into jiu jitsu, through Alexandre “Careca” Costa who invited him to put a gi on and try one of his classes. Pereira started jiu jitsu with Careca in 1998, though his experience lasted only 6 months. The training being interrupted due to Alexandre’s decision to pursue different career goals. Once coach Careca left Tiago widrew from jiu jitsu for a short period of time, returning to grappling under the guidance of the legendary Admilson Brites. 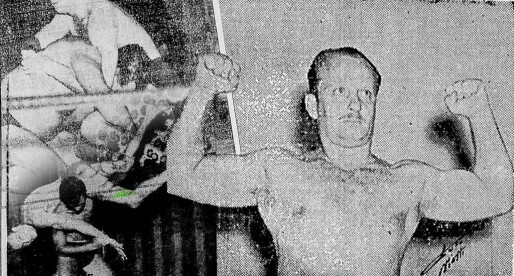 Brites, also known as “Juquinha” who is widely regarded as one of this sport’s pioneers in Brazil’s Federal District. In 2003, as a purple belt, Tiago Pereira gave start to his coaching career, later establishing an academy of his own in Guará – under the Ribeiro Jiu Jitsu banner. 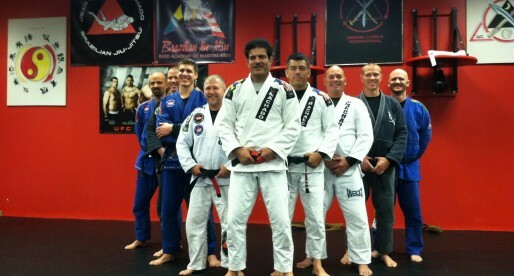 This academy being owned in a partnership with his brother, Diego Pereira (who is also an accomplished black belt). Earning all belts from instructor Juquinha, Tiago Pereira reached the grade of black belt in 2007, having conquered his place in this martial art’s history by maintaining an intensive competitive career, even when past the 35 year mark.